So here’s the deal. In approximately 17 days (but who’s counting?) 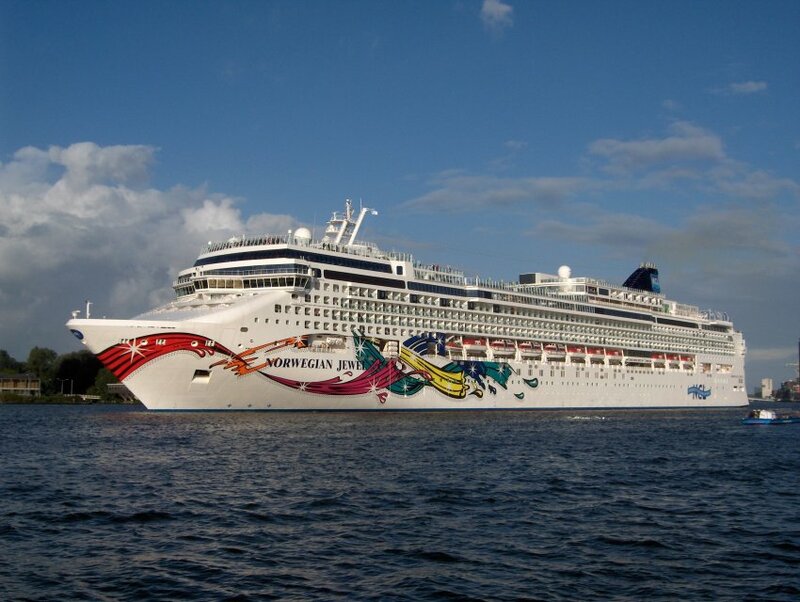 I will be off to NYC to board the Norwegian Jewel and embark on my first cruise… to the Bahamas. Why the Bahamas you ask? Well, it’s actually a cruise to Florida and the Bahamas and was the most convenient (and cheapest) way since it docks right in NYC instead of having to fly to Florida first. We are savvy like that. Stephen and I love to travel. 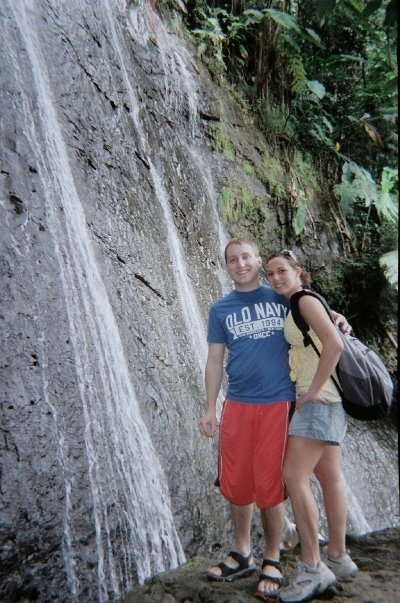 During my junior year of college, we spent Spring Break in Puerto Rico and had an absolute blast. We went hiking, ATV-ing, snorkeling, site-seeing, drank lots of Medalla Light and ate traditional Puerto Rican food. Although we wanted to go back there, we decided to see a new place and when I found an all-inclusive cruise that would take us to the Bahamas, we didn’t think twice. Here’s the plan… on June 11th, we will take a coach bus from Boston to NYC, hail a taxi to the dock, board the boat and get settled in our room (and probably will definitely have a drink.) From there, the cruise will take us to Port Canaveral in Florida. We will spend the entire day in Universal Escape in Orlando.. aka HARRY POTTER WORLD. So what if I’m 22? I want to ride a broomstick and drink butterbeer and get a wand. My vaca, my rules. Our next stop is Great Stirrup Cay, the perfect place to spend the day snorkeling. In the water. For those of you who know me, you know I hate water. If you don’t know me that well, there’s a fun fact about my life. Unless I’m drinking it, spending approximately 10 minutes in the shower or submerged in a scorching hot jacuzzi, I don’t do the whole large-body-of-water thing. Maybe it’s because I’m not the greatest swimmer. Maybe it’s because I don’t like live fish staring back at me. Maybe it’s the fact that I despise cold, icy, frigid water. I don’t know. But I promised Stephen we’d snorkel and a-snorkeling-we-will-go. I’ll try my best not to drown for the blog’s sake. Finally, a day in Nassau, the heart of the Bahamas. More specifically The Atlantis Resort. We will spend the day walking the grounds of the resort, doing a little shopping and most importantly, splashing around in the Aqua Adventure Water Park. Gah, water, again. Hopefully I not have a repeat bathing suit fiasco as I did once on the Geronimo slide at Water Country. I won’t go into details. I love rollercoasters so that’s how I’m looking at this water park… a big ‘ol thrill. 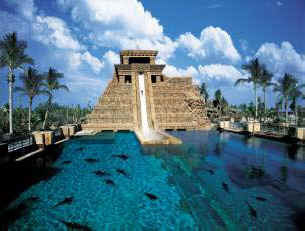 Plus, there is a tunnel water slide that goes through a shark tank. Cool. Besides our excursions, I plan on relaxing on the deck of the ship, getting a killer tan (like I did in Puerto Rico), taking lots and lots of pictures and appreciating my last vacation for a while. It’s a celebration of Stephen’s graduation from college and my acceptance into graduate school and will probably be the last vaca we take for a few years. So why am I telling you all of this? I will be gone for about 8 days and I need awesome bloggers to guest post for me. About whatever you are most passionate about. Cooking, running, dancing, reading, etc. The possibilities are endless. Interested? Leave me a comment or shoot me an e-mail. Tell me where you write and what you’d like to write about and I’ll send you more info/a deadline. And I’ll love you forever. That’s pretty cool too. Yup, that’s me… underwater. Crazy. 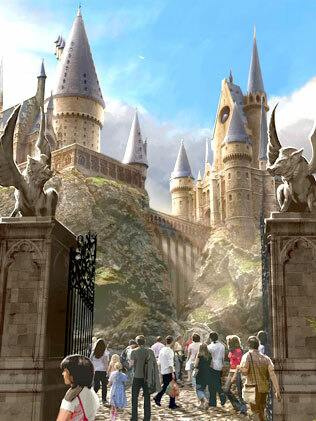 I’m not going to lie, I am most jealous of you getting to go to Harry Potter world! I am so putting that on my next list because I would love to walk around Hogwarts drinking a butterbeer wearing a wizard hat. I would love to guest post for you! I could write about my most favorite vacation, my love/hate relationship with running, my 30 before 30 list, or whatever else you had in mind. Just let me know! I’ll do a guest post if you need me to! Let me know what you’re thinking!